© 2017 SLS Harbour Beach. All rights reserved. This condominium SLS Harbour Beach is being developed by BANCO INVEX, SA INSTITUCION DE BANCA MULTIPLE FIDEICOMISO 2988 ("Developer"). This offering is made only by the Developer’s Prospectus for the Condominium, which is the prospectus published by the Developer and provided to you by the Developer. No statement should be relied upon if not made in the Prospectus provided to you by the Developer. The Developer is not incorporated in, located in, nor a resident of, New York. This offering is not directed by Developer, or anyone acting on behalf of the Developer, to any person or entity in New York or any other jurisdiction where legally prohibited. Your eligibility for purchase will depend upon your place of legal residency. Developer, pursuant to license or marketing agreements with each, has a right to use the trade names, marks, and logos of: The Related Group; Inmobilia; U Calli; and Puerto Cancun, each of which have are licensors and none of which is the Developer. All images and designs depicted herein are artists’ conceptual renderings based upon preliminary development plans; are subject to change; and should not be relied upon as representations, express or implied, of the final detail of the residences. Finishes, furnishings, designs depicted, and room orientation are only available as described in the Developer’s Prospectus, and if available, may vary from those shown in the illustrations. Developer expressly does not guarantee any view. Neither this ad nor the Prospectus is a securities offering. 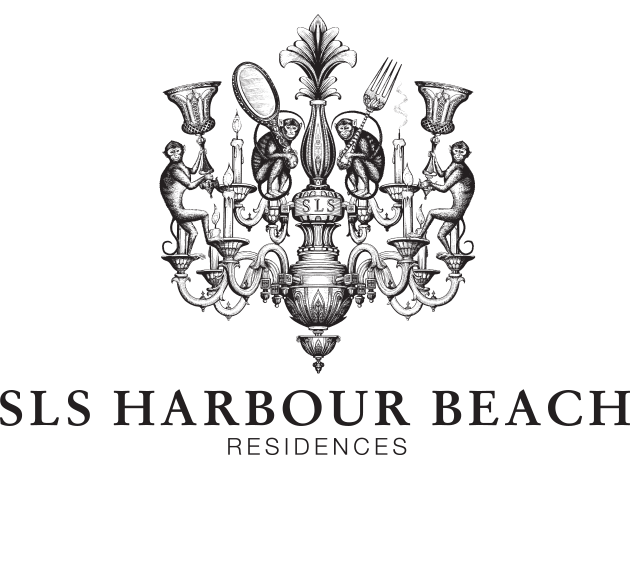 The managing entities, hotel brands, artwork, designers, contributing artists, interior designers, fitness facilities, amenities, services, and restaurants proposed within SLS Harbour Beach depicted or referred to herein are accurate as of this publication date; however, Developer does not guarantee that these will not change prior to, or following, completion of SLS Harbour Beach. Art depicted is not guaranteed; Developer reserves the right to loan or to gift art to the SLS Harbour Beach unit owner association at the Developer’s sole discretion and selection. Some amenities referenced will require additional cost and are not included with purchase. Consult the Prospectus for all terms, conditions, costs, features, unit dimensions and specifications, and to learn what is included with a unit purchase. ©2017 with all rights reserved. Reproduction for private or commercial use is not authorized.